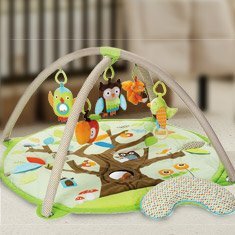 When deciding on the right kinds of toys for infants, there are SO many options out there! Which one is best? For parents who aren’t sure even where to begin, playmats offer a great solution. Parents of infants get told again and again how important tummy time is for little ones. Unfortunately, tiny babies don’t always agree that tummy time is a lot of fun. 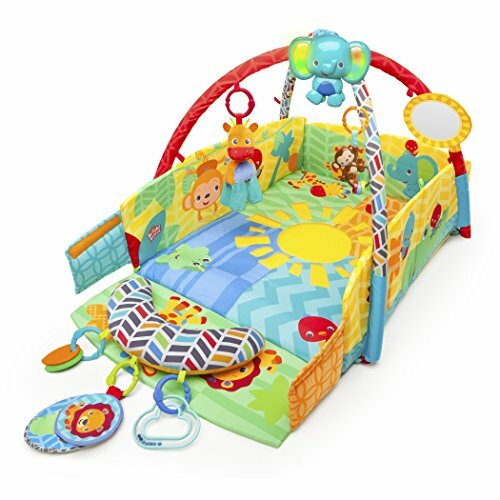 One of the best things about playmates is that they can really encourage babies to enjoy that tummy time, which is essential for babies to learn to roll over, push up and eventually to crawl. 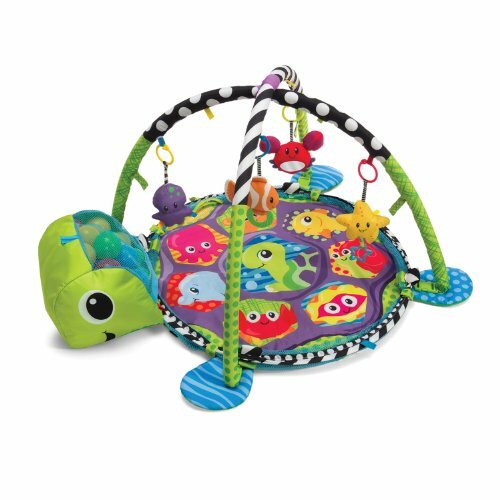 When looking for a mat for a little one that is struggling with tummy time, try one that’s soft and that has interesting things for the baby to look at like mirrors and shiny spots, the same things you have on the baby jumper. Playmats are great for developing fine motor skills like grasping and pulling. 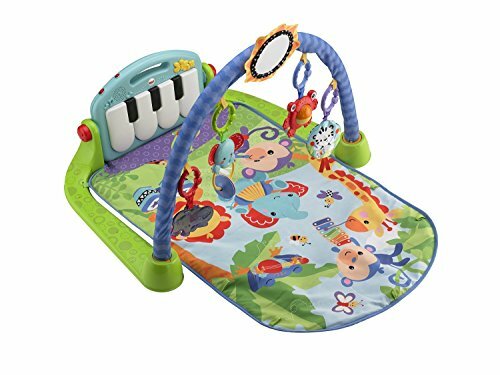 This is particularly true of playmats that have arches that hang over the top, allowing the baby to lie on her back and reach up to grasp objects. 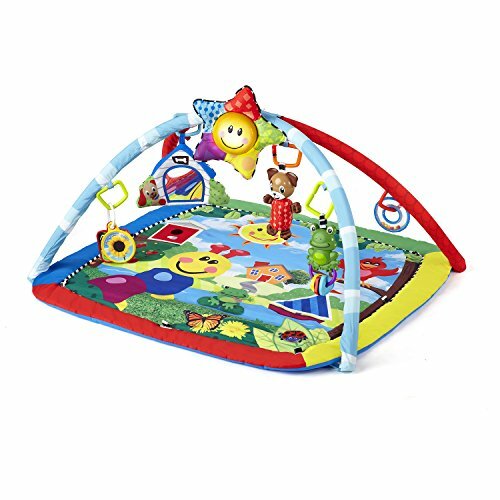 Some playmats even have pieces that move on their own, which will encourage your baby to practice those coordination skills. A great part of the playmat model is that parents can easily join in the fun! 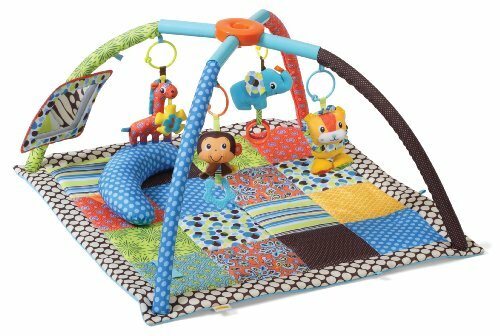 These toys are perfect for the kind of play where parents get right on the floor and dig in with babies to allow them to get that quality bonding time that’s so important. Playmats let parents lie down on the floor with the little one to make eye contact and interact on their level. Get close to your child when they’re on their playmat and you’ll find that you’ll have as much fun as they are! One of the best parts of a playmat is that they are so very portable. They can be broken down and bagged up easily, even if they have pieces that attach for hanging toys. This makes them great for taking outside to play on a sunny day in the backyard, or if you’d like to take them over for a playdate or a trip to grandma’s house. On a related note, playmats are generally really easy to clean with a damp washcloth. Many can even be thrown into the washing machine! Play mats aren’t just for tiny babies! They can grow with your child. 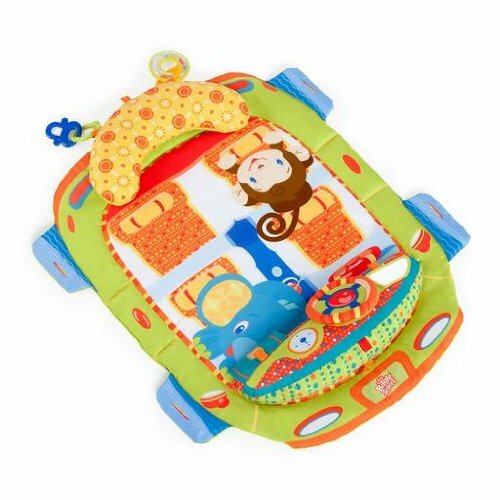 A well-loved playmat will still hold interest for your baby once he’s sitting and even when he’s crawling! Of course, it’s always important to be sure that any objects are approved for young children and don’t contain any choking hazards. Also, be careful of long cords that could pose a choking risk should they get wrapped while the baby is rolling. 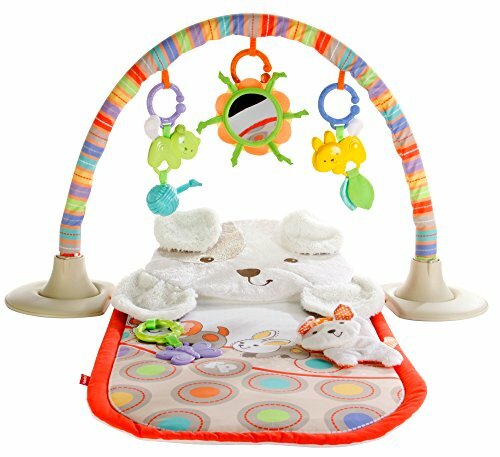 Don’t leave your child unattended in their crib while playing on a playmat, as playmats pose the same SIDS risks as blankets and pillows when left in a crib with an unattended child. Finally, never put your child on an elevated surface like a couch or a bed when they’re on their playmat. Doing so poses a serious risk of falling and injury, and no one wants to risk that for their little one! 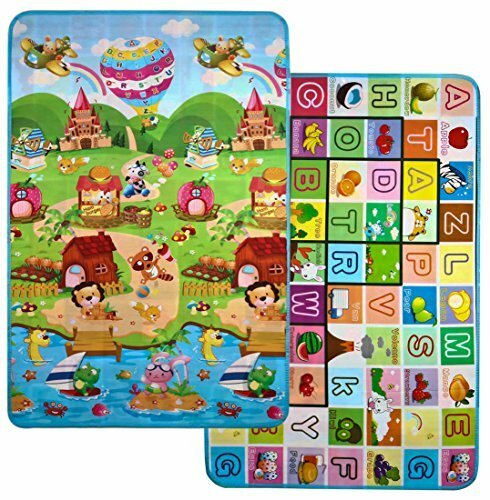 Playmats offer babies a wide variety of play options that will grow with them from infancy all the way to toddlerhood. 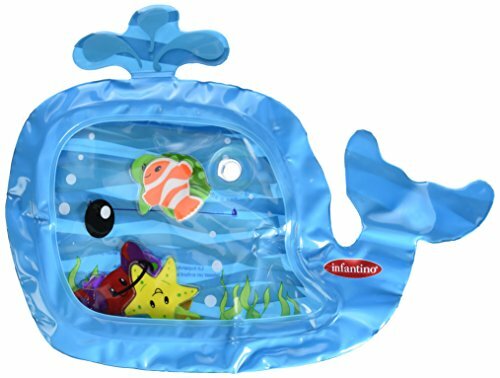 There are so many developmental and practical benefits to these wonderful toys that it’s no wonder there are so many of them available! Whichever one you choose for your child, you’ll know that you’re getting them a toy that will hold their interest and that will help them to grow.